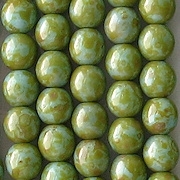 Colors/description: Opaque light bluish-turquoise with a yellow-brown mottled "picasso" coating. The overall effect is green. 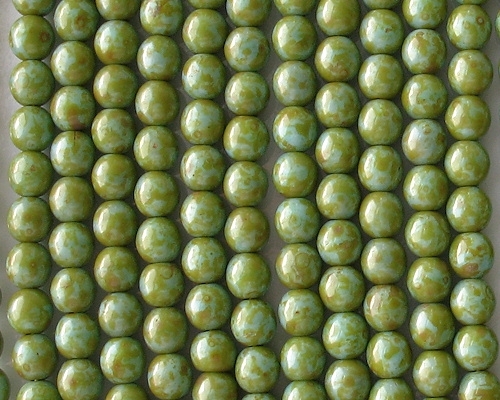 Comments: I have gotten these beads from two suppliers. 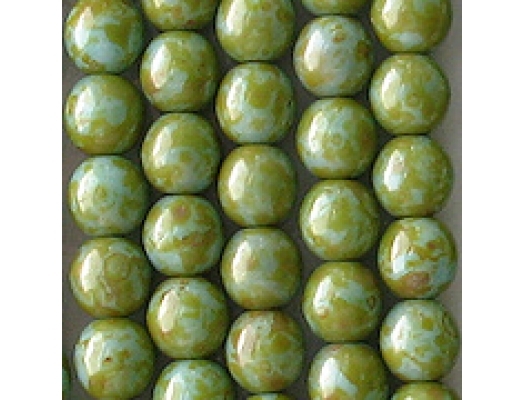 Sometimes, the yellow-brown coating is so heavy that the beads look green. In this case, you can see a good deal of the turquoise color coming through. Nonetheless, the overall affect is green more than turquoise. The last time I posted them (April, 2015), I was able to reduce the price by ten cents per lot.